Fine Art by Blair McLean: The three friends in the mushroom patch. The three friends in the mushroom patch. 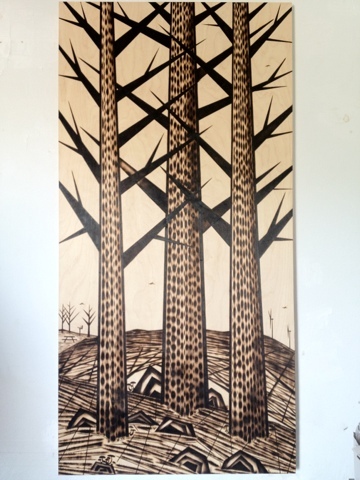 This is a forest piece I am commissioned to make. I will be making 3 and my client can pic the one he likes. I met you the other night at the Friar, you gave me your card. These are amazing, where do you show your pieces?